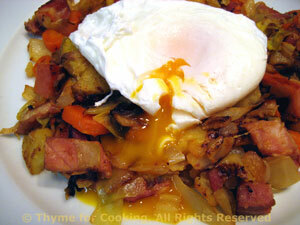 Corned Beef Hash with Poached Egg, Weekly Menu Planner. This is an easy St. Patrick's Day dinner using leftovers. Divide hash, spoon onto plates.